You are here: Home / Red Yarn Blog / Events / RYPB show on Saturday, September 17! RYPB show on Saturday, September 17! 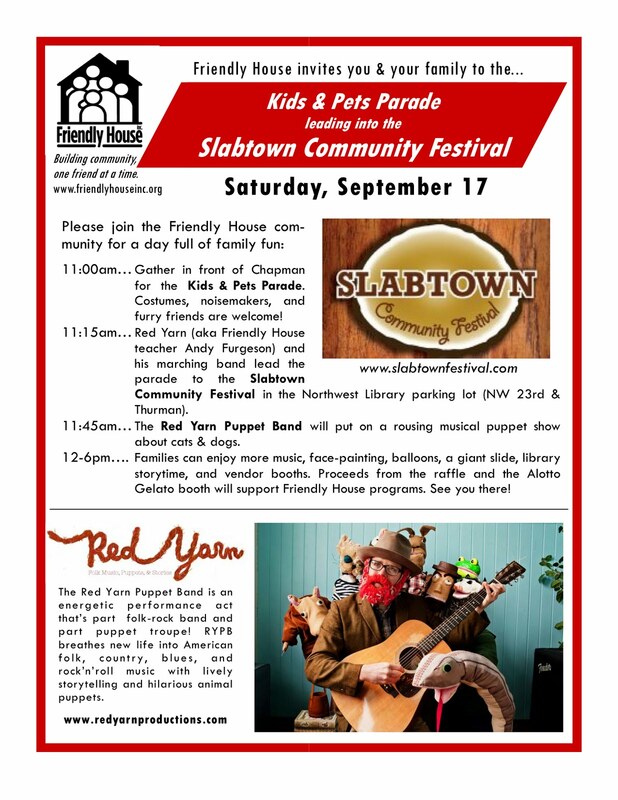 Red Yarn Puppet Band has its first show in a long time at 11:45am this Saturday, September 17, at the Slabtown Community Festival in the parking lot of Northwest Library (NW 23rd & Thurman). We’ll debut a new show called “Hep Cats & Hound Dogs,” starring a rockabilly feline named Hepcat Eddie and a hillbilly canine named Jim the Hound Dog. As usual, we’ll be weaving together classic American folk songs to form a narrative. But this time around we’re focusing on some strains of folk we haven’t explored with RYPB–rockabilly, country, and hillbilly music. Right before the show, at 11:00am, we’ll gather in front of Chapman School (NW 25th & Raleigh) and lead a parade of costumed kids, parents, and pets to the festival site. Red Yarn Puppet Band will serve as marching band and pied pipers of the rowdy crowd. 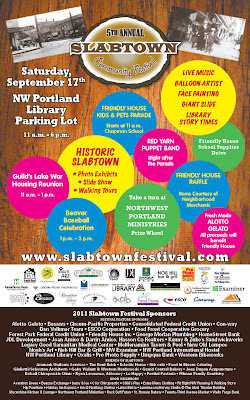 The parade is organized by Andy’s workplace, Friendly House, who is also a co-sponsor and beneficiary of the Slabtown Festival. We are excited to announce a brand new line up for Red Yarn Puppet Band! We just recruited four new members: Addy Kessler (high school art teacherand all-around amazing artist), Jonathan Owicki (clown, balloon artist, accordion player and Tears of Joy puppeteer), Kate Belden (actress, builder, trumpeteer, and former Tears of Joy puppeteer), and Kaician Kitko (mask man, dancer, and former Imago performer). Jessie Eller-Isaacs (middle school teacher, singer, and “hype woman”) and Andy Furgeson (musician, puppeteer, teaching artist, and Red Yarn ring-leader) have stayed constant. http://redyarnproductions.com/wp-content/uploads/2016/04/bright-red-logo-for-web1.jpg 0 0 Red Yarn http://redyarnproductions.com/wp-content/uploads/2016/04/bright-red-logo-for-web1.jpg Red Yarn2011-09-13 08:57:002011-09-13 08:57:00RYPB show on Saturday, September 17! Red Yarn Puppet Band is recruiting puppeteers & musicians! Busy September for Red Yarn!